Chefs Collaborative is a national 501(c)(3) nonprofit network that relies on Member, Partner, and Individual support to advance its mission to inspire, educate, and celebrate chefs and food professionals building a better food system. Click here to see our full list of our Business Members who are allies in our mission to build a better food system. Interesting in becoming a Supporter? 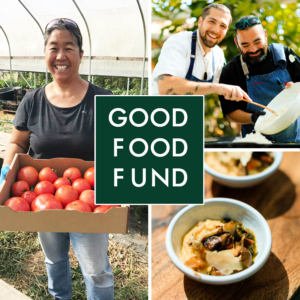 Join us as a Business Member here and learn more about the Good Food Fund here.